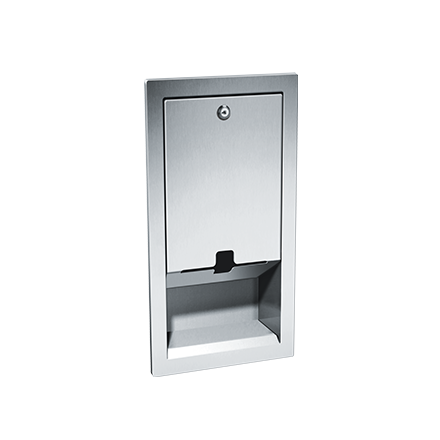 Holds and dispenses up to 30 paper liners. Liners are self-feeding until supply is depleted. Unit may be reloaded with a partial load in-place and will continue to feed properly. Door held closed with a tumbler lock.